Comedian Anne Kansiime, yesterday took off an hour to interact with her fans who she fondly refers to as Ninja's on her social media portfolios. Instagram, Twitter and Facebook had many questions flowing, but a good number of them were pointing to her relationship, she did not disappoint, she tried to answer all. "Am set ninjas. It's been long. I have an hour to answer all your qns. Respectful questions will get respectful responses and the opposite is also very true. So, let us go," She rolled. Qn: When are you going to come to Nigeria again? Qn: When did you last deworm? Ans: Hehe you got me on this one..
Qn: Where is your twin sister? I miss her English hehehe..
Ans: I miss her too. She lives in London. I don't get to see her a lot. Anne, I wish you could get back with your husband. You 2 made such a lovely couple. It made marriage seem so simple and nice to some of us. Anyway, good at everything, cheers.. I beg you to forgive Ojok in case he is the one who wronged you. There is nothing to forgive. I will be alright my ninja. Anyway me, I miss you and Ojok on my eyes and pics together, yes!!! So now I have a ring on my finger. I have introduced him to my parents and they were thumbs going up all over the place. It could have easily been mistaken for an NRM rally. The DJ even played Ragga Dee’s Empeta song so I know for a fact that I am not dreaming and this actually happened. 'Banange' people, I hope you all one day get to experience this kind of happiness. 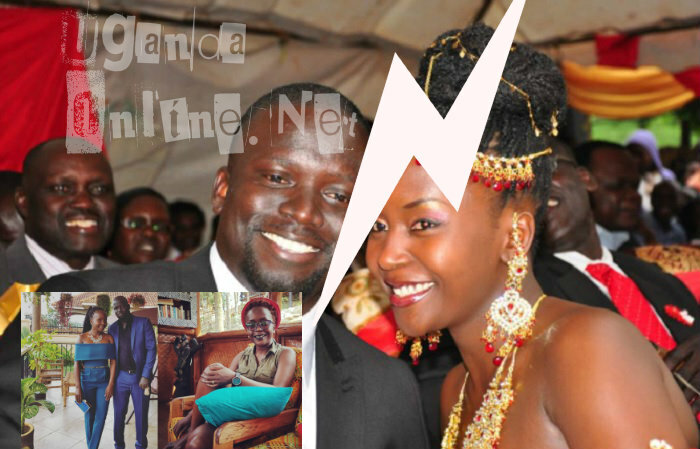 A year later, Anne Kansiime was under pressure from her fans on why she was not giving birth..
"I understand most of you must be wondering why I am not pregnant up to now. Yes, I am often asked the same question by different people. And it has nothing to do with my comedy trips. Can you really survive an Acholi man? I have done everything, including somersaulting but my efforts have yielded nothing." Just around the time the couple was to make 4 years after their traditional ceremony, word was all over that the relationship had hit the rocks. Well, she came out to clear the space, they are no more and she is single, so if you are searching and have been eyeing her, this could as well be the time to submit your CV.